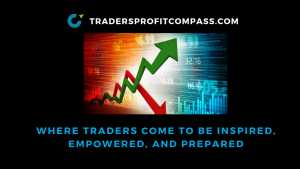 This article explores sector relative strength leaders and laggards showing traders what sectors are bullish or bearish. 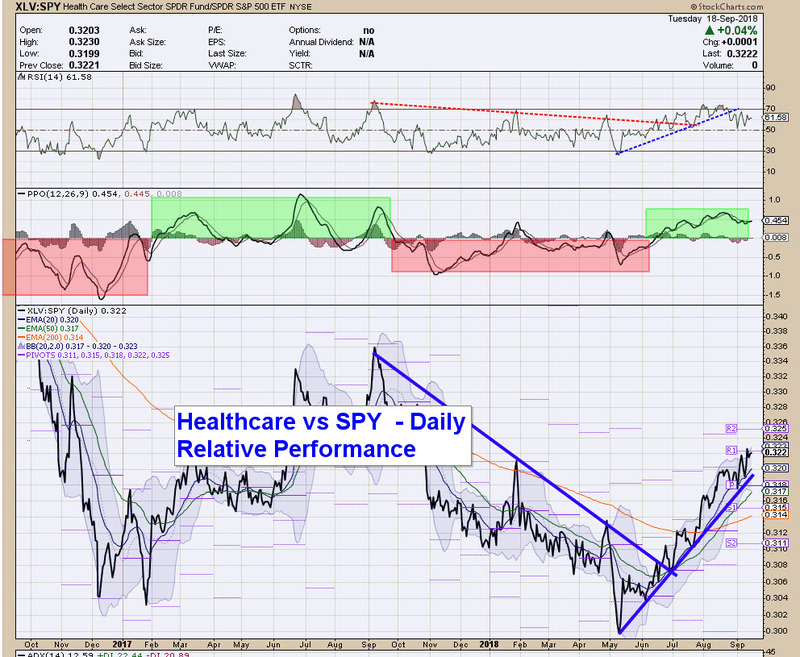 Healthcare ( XLV ) continues to be a strong relative performer. 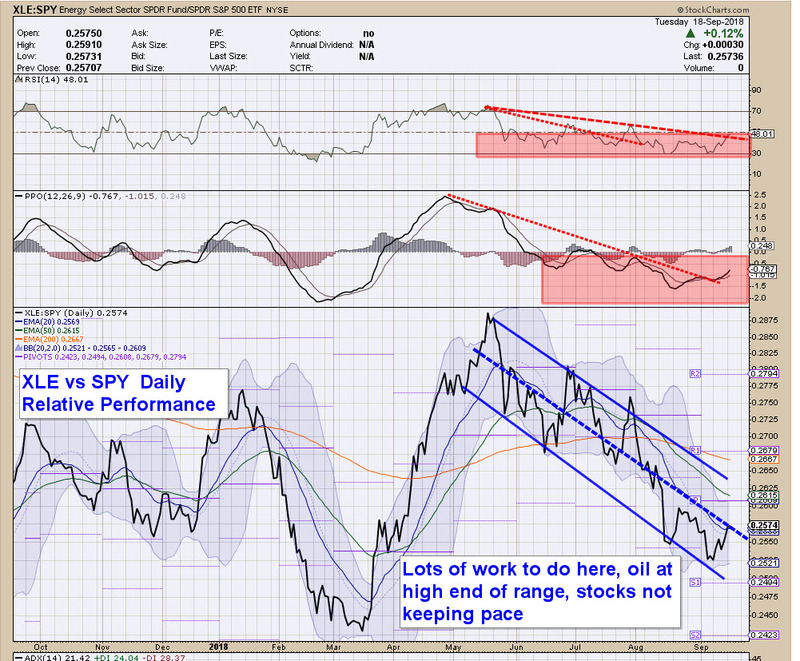 While still considered somewhat of a defensive sector, money is flowing into this sector and is a market leader. Going forward, as long as the ratio stays above the trend line, healthcare names should continue to do well compared to the broad market averages. 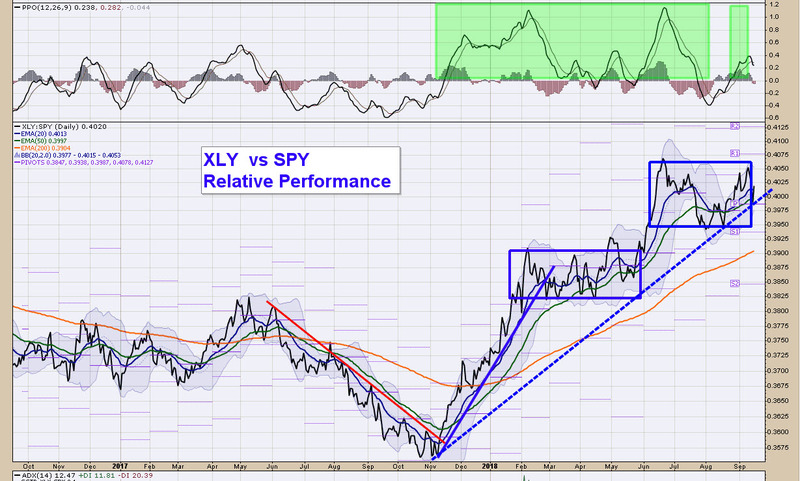 Consumer Discretionary ( XLY ) is an offensive sector. 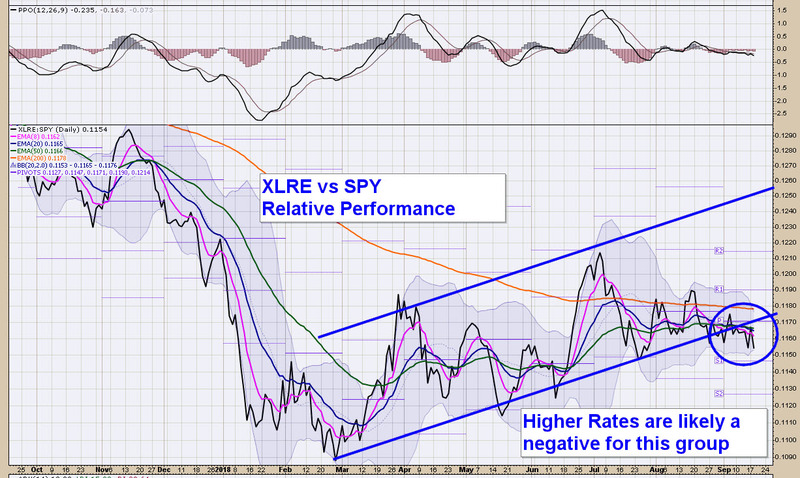 As you can see it continues to perform well as it holds its relative uptrend line. Lets be frank though, a lot of this out performance is Amazon. 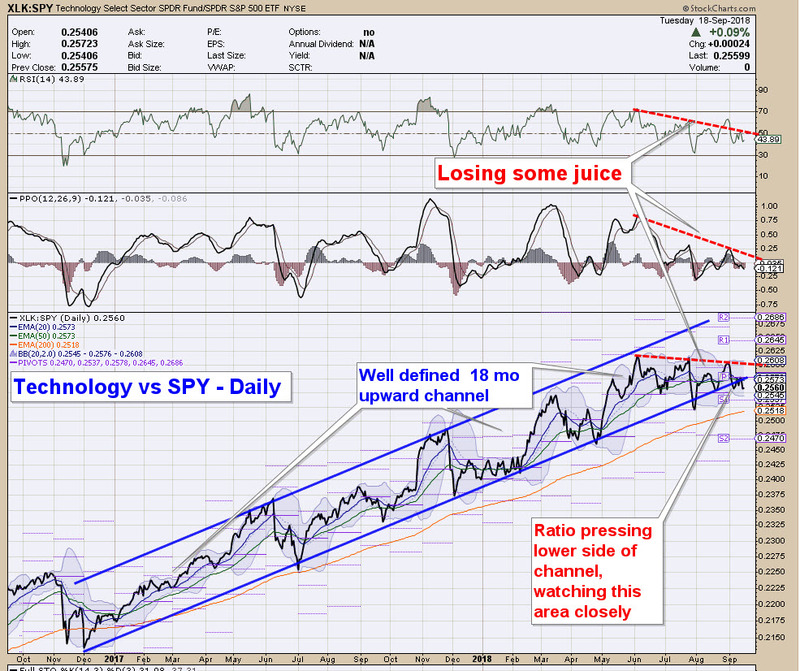 Technology ( XLK ) has been a market leader but has been under pressure the past 60 days or so. 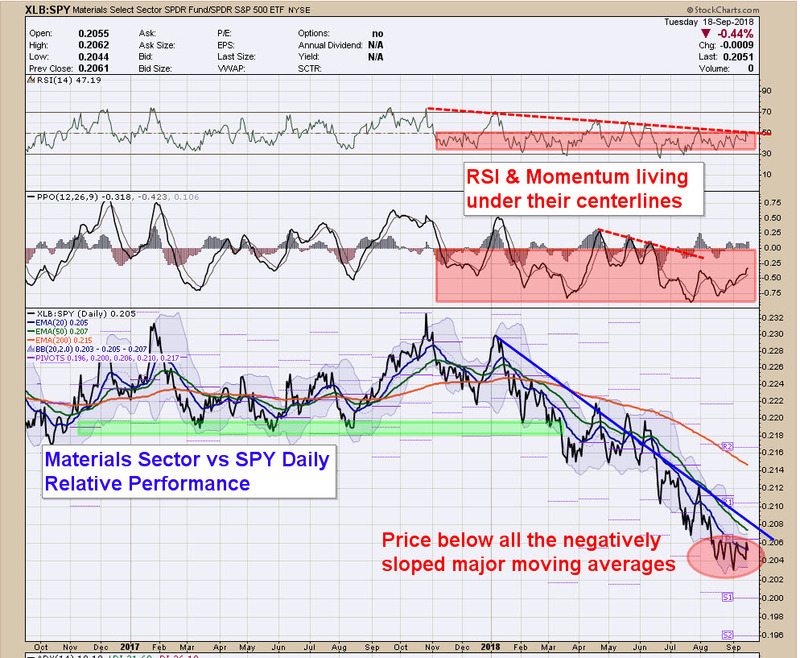 Notice the downtrending RSI moving below 50 and PPO momentum moving below the center line. These are bearish developments but a few good days would turn these back around. On the ratio itself, it is struggling just below the trend line as I have drawn it. Technology has been a cornerstone of the bull market. Watch this one closely. If it rolls over, another sector or two will need to pick up the slack. 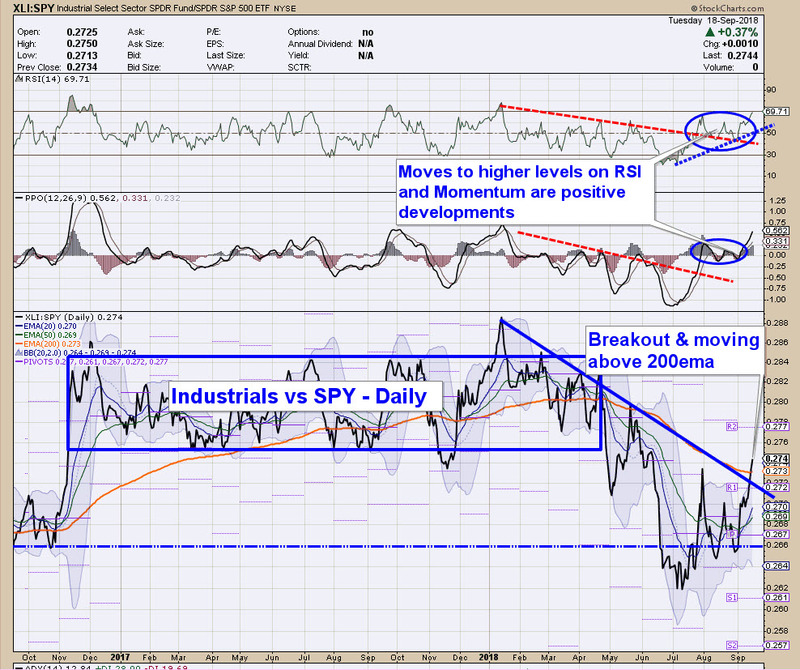 Industrials ( XLI ) have been beaten down but have really moved up the past few weeks. 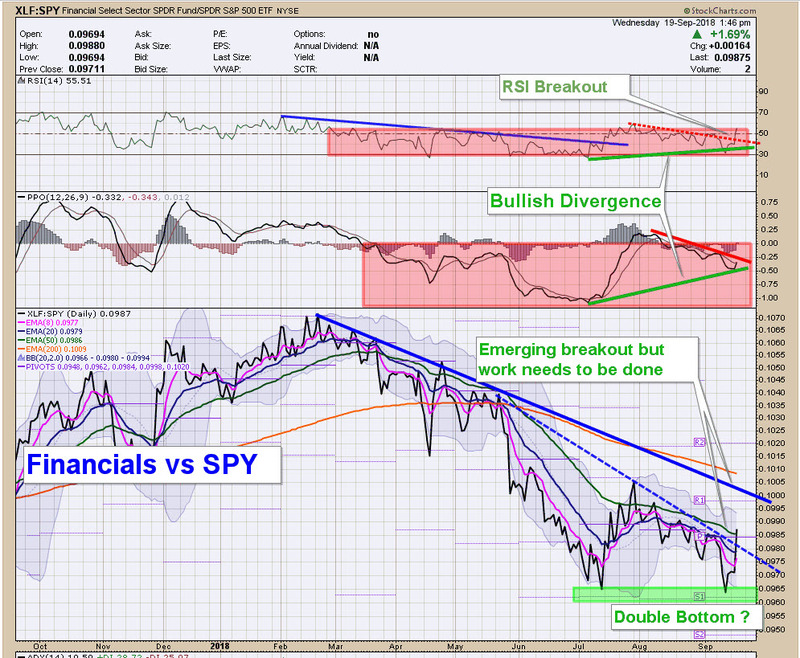 RSI and momentum have broken out. Price has taken out both down trend resistance and the 200ema. Lots of names to take a look at. I plan to cover off in an upcoming blog post very soon. Financials ( XLF ) have been the king of head fakes this year. A constant drum beat and table pounding from analysts and talking heads have produced nothing but pain for the last 6 months. That said, there are some bullish technical developments to point out. It looks like price has put in a double bottom with bullish divergence. Notice how the indicators are at a much higher level at the second low on price. 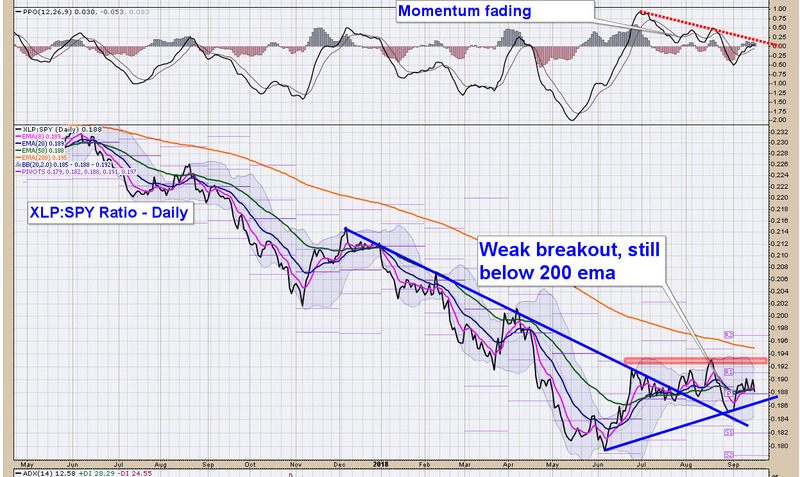 This set up can often foretell a nice bullish move is coming. Notice price breaking out of the intermediate downtrend line. That’s a good first step. Next hurdle is the main downtrend line and 200 ema. Worth hunting for names in the sector. 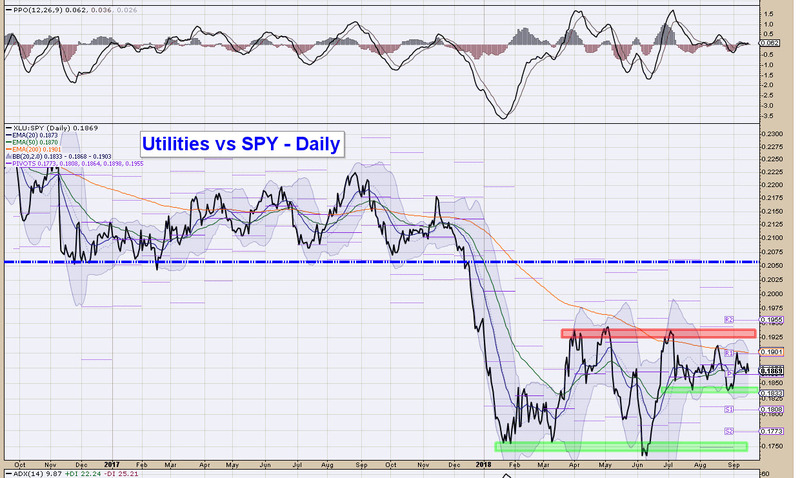 Utilities ( XLU ) are not doing much in relative terms. REITs ( XLRE) have lost their relative breakout probably due to the recent rise in rates which is negative for the group. The breakout in Staples ( XLP ) has stalled and has not done much the past 60 days. I’m not really into trying to guess bottoms but if you are then Materials ( XLB ) and Energy ( XLE ) should be fertile hunting grounds. You can see that the RSI and momentum indicators are living in bear market territories. That doesn’t mean you can’t find a few select names that are moving higher, it just means that as a whole, these sectors do not have a lot of juice flowing into them. Happy hunting and good trading! !